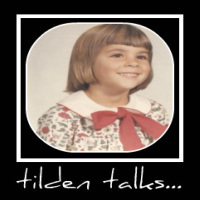 tilden talks...: Good Dental Health - AmeriPlan Gets the Job Done! Aah teeth! With teeth come the necessity of a dentist. Almost everyone has teeth and even those who don't still require the services of a dentist. Along with the dentist visit comes the dreaded bill. If you are like me, needing a dentist doesn't necessarily mean you see the dentist. I don't often see the dentist because I cannot pay the bill. I think I may have found a solution. I found this discount dental plan. It is not insurance. However, This discount dental plan can save me anywhere from 25-65% on a bunch of dental services. Crowns, fillings and most importantly, preventative care all get discounted. There is a monthly fee, but it is minimal. The annual savings with the plan definitely make this plan affordable and worth every penny. Like I said, this isn't dental insurance, but it can fill in the gaps very nicely. If I didn't have insurance, this could help take the heat off of some very steep bills. If I had a big deductible, this discount plan would certainly help a lot. Also if I had run through all the coverage my insurance offers in a calendar year, the generous discounts would go along way toward getting my bills paid. This plan would really help me get my teeth fixed and get me back to general good dental health. Check it out. You might find it's something that can help you and your family too. It sound like a pretty good dental plan. Dental care procedures could be expensive so I think this plan would help us save some bucks somehow. Sounds great! I do hope these dentists in Huntersville NC are covered by this plan. I need dental care as soon as possible.